Dr. Kenji Ogino is a full professor of Tokyo University of Agriculture and Technology. His research has concentrated on synthesis of semiconducting polymers and applications to photorefractive, electroluminescent, and photovoltaic devices. Especially he is interested in block copolymers, which can form microphase separated nanostructures in thin films. Dr. Ogino received his B.S. degree from Department of Reaction Chemistry, the University of Tokyo in 1986. His Ph.D. degree was given from the University of Tokyo in 1995. He started his carrier at Tokyo University of Agriculture and Technology as a research associate in 1986, and was appointed to current position in 2005. In 1997, he spent one year at C. K. Ober research group in Cornell University as a visiting scientist. He is also a vice-president of the Society of Fiber Science and Technology, Japan. Omar S. Es-Said is a professor in the Mechanical Engineering Department at Loyola Marymount University in Los Angeles, California. He was hired as an assistant professor from 1985-1992, associate professor from 1992-1998, and full professor from 1998-present. He received his B.S. degree in physics and his M.S. degree in solid state physics from The American University in Cairo. He received his PhD in Metallurgical Engineering and Materials Science from the University of Kentucky, Lexington in 1985. His current research interests include metallic processing, modeling, experimental, techniques, and failure analysis. He published over 300 papers, which included refereed journal articles, conference proceedings, industrial reports, and Department of Defense (DoD) reports. 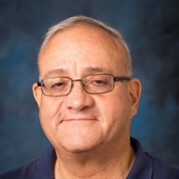 He has been an associate editor from 2008-present for the American Society of Materials’ (ASM) Journal of Materials Engineering and Performance (JMEP). He has been a key reader for the Metallurgical Transactions A Journal from 2004-present. He has been on the editorial board of the Engineering Failure Analysis Journal from 2003-present. He received several awards: The Society of Automotive Engineers (SAE), Teetor Award in 1994, until the Elmer L. Hann Award from The Society of Naval Architects and Marine Engineers in 2011. He received several grants for research funds and research equipment from the National Science Foundation (NSF), NASA, Boeing Cooperation, and the Navy for a total of over $3.2 million dollars. He was a consultant for the Navy from 1994-present. He was hired as a Distinguished Summer Faculty Fellow at The Navy Facilities Engineering Services Center (NFESC) in the summers of 2010-2014. He became an American Science of Materials (ASM) Fellow in 2005. He was an invited speaker in many conferences and universities including: Cambridge University, The American University in Cairo, and Paris 8 University. Abstract: The aluminum lithium 2195 alloy was designed for aerospace applications. Its fatigue behavior should be of concern because fatigue failures were among the major causes of aircraft failures, but there were limited studies on fatigue behavior of forged 2195 aluminum alloy. Specimens of 2195 aluminum alloys were taken from an aircraft wheel and a hand forging plate. A total of 44pcs aircraft wheel samples and 67pcs hand forging samples were tested. The aircraft wheel samples were from the hub and tube and were prepared in two tempers: T6 (peak aged) and T8 (cold worked and aged). The hand forging specimens had 3 tempers (T6, T8-4% strain and T8-8% strain) and were cut from transverse (T) direction sections, short-transverse (S) direction section, and from 45° between them (ST45). The study revealed that T8 temper, while providing higher strength, also showed longer fatigue life as compared to T6 temper. The anisotropic behavior of 2195 hand forgings showed a trend that NT>NS>NST45. The forged aircraft wheels at different locations and tempers showed similar fatigue life at high stresses. At low stresses, different locations show significant differences in fatigue lives. The reason might be related to the variance of manufacturing and thermomechanical processes experienced by different locations on a complex-shaped wheel. The 2195 aircraft wheel samples were also compared with samples taken from a similar aircraft wheel but made of 2014 Al-alloy. The results revealed that the addition of Lithium significantly improved the fatigue life. Masatoshi Kubouchi is a professor in the Department of Chemical Science and Engineering, School of Materials and Chemical Technology, at Tokyo Institute of Technology in Tokyo. He was hired as an assistant professor form 1986-1996, associate professor form 1996-2009 and full professor form 2009-present. He received his B.E. degree in Chemical Eng. and his M.E. degree in Chemical Eng. from Tokyo Institute of Technology. He received his Dr. Eng. in Chemical Engineering from Tokyo Institute of Technology in 1995. His current research interests include polymeric and composite materials for chemical equipment, degradation analysis, monitoring of chemical damage and green composites. He published over 500 papers, which included refereed journal articles, conference proceedings, industrial reports and Books. He was a vice-chair from 2009-2013, and has been a chair from 2013-present in the Plant Materials Engineering Committee in the Society of Chemical Engineers, Japan (SCEJ). He was a vice-president from 2009-2013 and a president in the Materials Science Society of Japan (MSSJ). He has been a director board from 2018 and a chair of study group working on material performance in the Japan Society of Corrosion Engineering (JSCE). He has been a director board from 2018 and an editorial chairperson (2017~present) of Public Information & Journal of Reinforced Plastics, Japan (JRPS). He was a division head from 2012-2013 of the Industrial, Chemical Machinery and Safety Division, the Japan Society of Mechanical Engineers (JSME). He received several awards: ex. Technology Award [Gijutsu Syo] in 2002 from JSCE, the Research Award in 2012 from Japan Thermosetting Plastics Industry Association. He has been a chair of the Japanese National Committee for ISO Working Group on TC138/SC8 and was other JIS committee boards. He was hired as a fellow from 2006-2007 in the Center for Research and Development Strategy, JSTA. He was an invited or plenary speaker in many conferences and universities including, MIT, Karlsruhe Institute of Technology (KIT), DLSU and UI. Yong Suk Yang is a Professor Emeritus in the Nanoenergy Engineering Department and former Dean of the College of Nanoscience & Nanotechnology, and former Director of the Research Center for Dielectric and Advanced Matter Physics at Pusan National University. He received his BS in physics in 1977 from Sogang University, Seoul, and PhD in solid state physics in 1990 from McGill University, Montreal. He is a faculty member since 1993. He has been carrying out experiments at neutron- and synchrotron radiation- related international facilities, NSLS, APS, SSRL, Oak Ridge (USA), AECL (Canada), SPring8 (Japan), Riso (Denmark), KAERI (Korea). He has published various articles on the phase transitions of structural order-disorder, spin dynamics on low dimensional magnet, glass-crystallization through nucleation and growth, negative thermal expansion. Multiferroics, dielectric relaxation, solid oxide fuel cell, lithium ion battery are also his recent interests. Not only research but he also emphases the importance of education and training. He has taught under and graduate students over 30 different subjects, quantum mechanics, statistics, solid state physics, thin films, electronic properties of materials, thermoelectric, semiconductor, thermal physics, ceramics, dielectrics, modern physics…, during the last 20 years.